The Irish name Macha na gCab and the anglicised name Beennabrack have very different meanings. It seems unlikely that they originally referred to the same feature. An Seabhac gives the name Binn na mBroc ('peak of the badgers') for this hill (TCCD, 143, 233), which shows that Beennabrack is a corruption. He does not mention Macha na gCab. 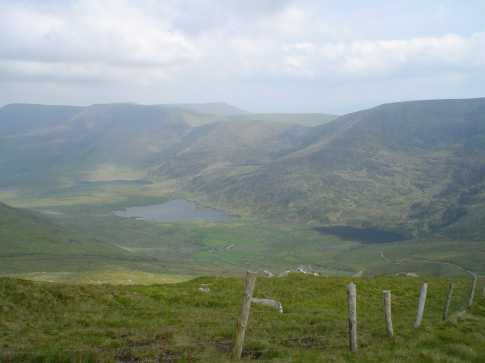 Beennabrack is the 268th highest place in Ireland. Beennabrack is the most southerly summit in the Brandon Group area. Coming down from the Brandon ridge at Fallaghnamara , Q459 078 C ,623m.